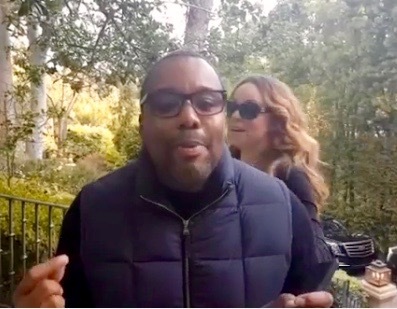 *Earlier this week, filmmaker Lee Daniels revealed that Mariah Carey “tricked” him into appearing on her upcoming E! reality series “Mariah’s World,” and that she is too fragile to film a reality series. Batting second was Wendy Williams, basically co-signing Lee’s sentiments on her daytime talk show. See below, beginning at the 7 min. mark. Well, Mariah responded to both Wendy and Lee yesterday on Instagram, without having to say one word. She posted a quick video that shows her with Lee as he tells the camera, “I’m the b**ch that’s fragile, okay?” It’s looped three times before a fourth and fifth edit shows her playfully kicking the “Empire” co-creator.